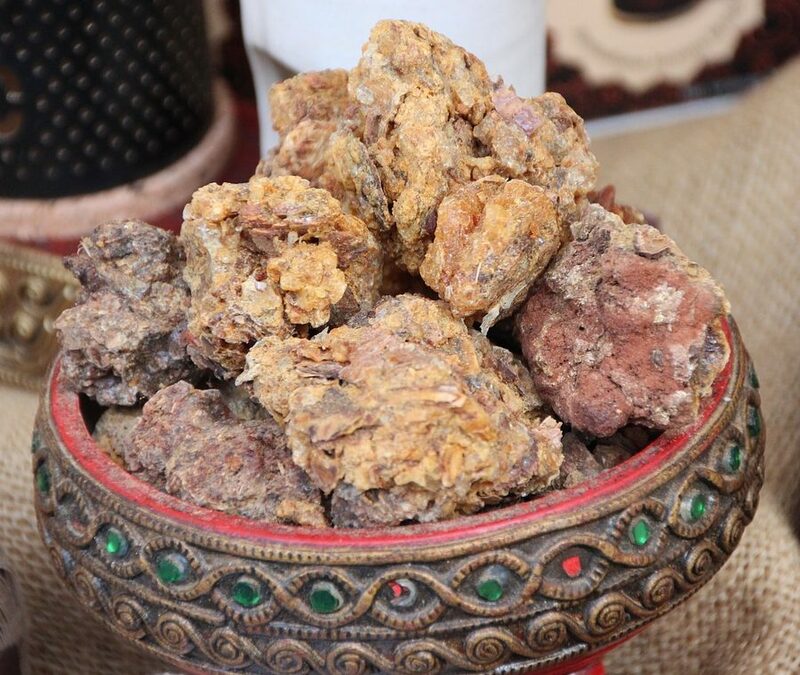 An essential oil that so clearly signifies winter and the holiday season is Myrrh (Commiphora myrrha). The resin is often mentioned in connection with the birth of Jesus, and is also considered a spiritual scent. The essential oil itself has remarkable healing properties for dry skin and respiratory infections making wintertime a great time to use Myrrh. Its warm, resinous, and slightly spicy scent can enhance your indoor atmosphere, whether you have a crowd of folks over or are doing solo introspection. The oil is considered calming and can bring a sense of inner peace while also reviving the spirit. A diffused blend with Myrrh in it will also be anti-infectious to help you from catching the latest cold that’s going around. If you do happen to get sick, Myrrh is useful for relieving coughs, catarrh, and bronchial congestion, and also killing infections in the lungs. It acts as a decongestant and expectorant so you can rid your body of germs. Myrrh essential oil has been studied for its impact on human cancer cells. Researchers found that it had “anticancer activities that are likely to arrest the proliferation of prostate cancer cells.” The essential oil was also found to have a marked effect on breast cancer cells, causing them to die. This offers some hope, but more investigations are necessary to confirm the oil’s antitumor results. Gently melt the coconut oil over low heat on the stove. Pour into a small jar. Add the essential oils and stir. Use several times a day on cracked cuticles.